Patients are seen by appointment. Surgery times vary between 08:10 and 18:00. Please make an appointment by contacting the receptionist, either by telephone or by calling into the surgery, during opening hours. You can also book online via the link at the top of this page. 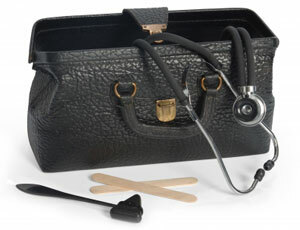 If your problem is urgent, you will be seen by the first available doctor on the same day. If you wish to be seen by a specific doctor, you may have to wait slightly longer. If you have not been seen at the surgery for over 3 years (or one year for those over 75) you can request a check-up appointment if you wish. Please try to keep your appointment. If you are not able to, or you no longer need to be seen, please advise the receptionist in good time, so that another patient can be given the appointment. If you wish to speak to a member of the clinical team we are usually available between 11:00 and 11:15 each day. We are unlikely to be able to speak to you during surgeries but our reception team are happy to take messages. Please help us to help you. If for some reason you need to change or cancel an appointment, please telephone the surgery as soon as possible. When appointments are not kept, it prevents another patient from being seen. Regular non-attenders may be asked to leave our list. All patients requiring a referral to a secondary care service available on the Choose & Book system can discuss their options with a GP. The referral will then be processed by the GP’s secretary, who will send the patient printed confirmation which includes the UBRN (unique booking reference number) and password, together with details of how to contact the appointment line. A selection of Choose & Book leaflets, posters and guides are available at the surgery. Information can also be sought online. Choose and Book is a new service that allows you to choose your hospital or clinic and book an appointment with a specialist. Since summer 2004, Choose and Book has been introduced across England. From 1 January 2006, when you and your GP agree that you need to see a specialist, you will be able to choose from at least four hospitals or clinics. You will also be able to choose the date and time of your appointment. You can choose from at least four hospitals. You can also choose the date and time for your appointment. You experience greater convenience and certainty. 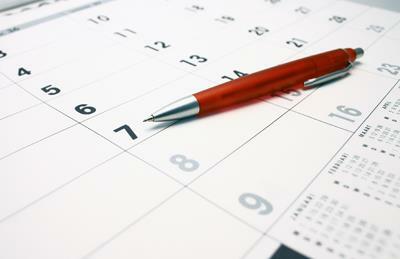 With the old system, your hospital or clinic chose the date and time of your appointment. This may not have been convenient for you. With Choose and Book, the choice is yours. There is less chance that information will get lost in the post because more correspondence takes place through computers. Home visits are for either terminally ill patients, or truly bed bound patients in whom to travel to surgery premises by car would cause deterioration in their medical condition or unacceptable discomfort. In cases of common childhood symptoms including fevers, colds, coughs, earache, headache, diarrhoea/vomiting and most cases of abdominal pain, patients are almost always well enough to travel by car. The old wives tale that it is unwise to take a child out with a fever is untrue, and although these children may not be fit enough to travel by bus, or walk to the surgery, car transport is a sensible option and usually available from friends, relatives or taxi. If a home visit is needed, please contact the surgery before 10:30. Doctors do home visits after they have finished morning surgery and will arrange their visits according to the degree of urgency. Normally the doctors will contact the patient prior to visiting and encourage patients to attend the surgery, where possible, as we have more facilities available. Difficulty in getting to the surgery is not a valid reason for requesting a home visit, and this may be declined. You can also be visited at home by a community nurse if you are referred by your GP. You should also be visited at home by a health visitor if you have recently had a baby or if you are newly registered with a GP and have a child under five years. You do not require a doctor's sickness certificate for any illness lasting seven days or less. Your employer may however require you to complete a self-certification form (SC2) which is available from your employer or on the HMRC website. If you are sick for more than seven days, your employer can ask you to give them some form of medical evidence to support payment of SSP (statutory sick pay). It is up to your employer to decide whether you are incapable of work. A medical certificate, now called a 'Statement of Fitness for Work’ (see below) from your doctor is strong evidence that you are sick and would normally be accepted, unless there is evidence to prove otherwise. You could also provide evidence from someone who is not a medical practitioner, e.g. a dentist. Your employer will decide whether or not this evidence is acceptable. If your employer has any doubts, they may still ask for a medical certificate from your GP. The 'fit note' was introduced on 6 April 2010. With your employer's support, the note will help you return to work sooner by providing more information about the effects of your illness or injury.